Scientists hypothesize that Bennu formed 4.5 billion years ago, about the same time as our own planet, and from the same disc of gas and dust which made up our early solar system. Bennu has likely changed very little since it formed, but the Earth has been constantly changing thanks to processes like plate-tectonics, volcanism, and simple erosion. We therefore can get a better view into the past of our own planet by studying an asteroid, than by studying the rocks we actually find here. 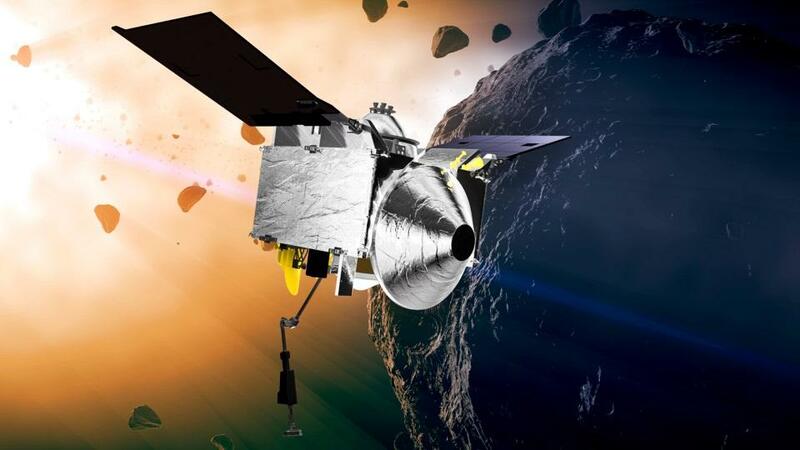 Scientists expect that Bennu will contain minerals like clays which could hold water, and that the asteroid might also contain a large amount of organic material. It is important to remember that organic material only refers to carbon based compounds, and does not necessarily mean that the material came from a living organism. Depending on exactly what OSIRIS-Rex finds though, this could still be a very important clue to how the first living organisms on earth did start to develop. When our planet was first beginning to form, it was frequently bombarded with asteroids like Bennu, which combined with the material that was already there to build the mass we now call Earth. If one of those asteroids brought the organic material which provided the ingredients for life here on Earth, that not only will change our understanding of this planet, but it will change our views of the probability of life on other planets as well.